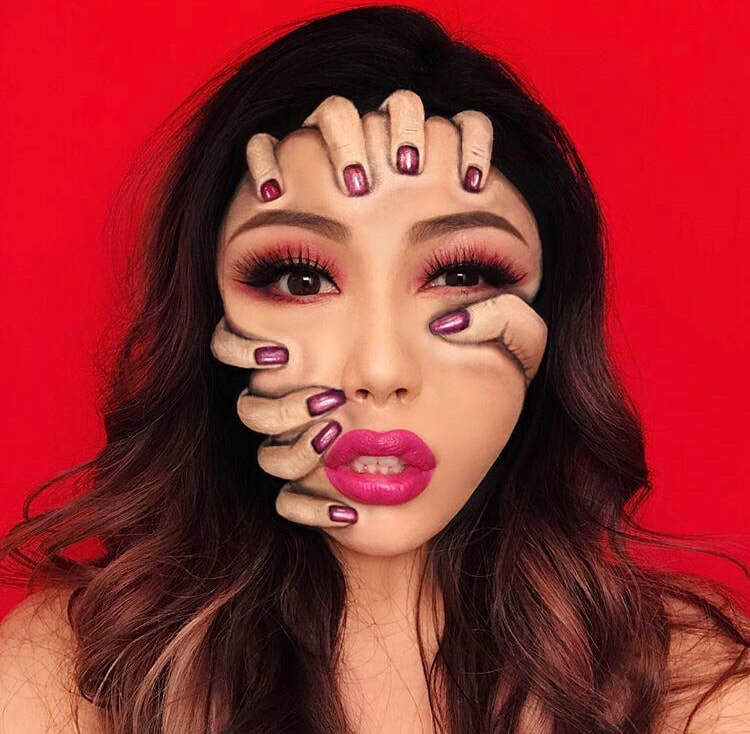 Vancouver-based illusionist makeup artist Mimi Choi is challenging people’s perceptions of reality. 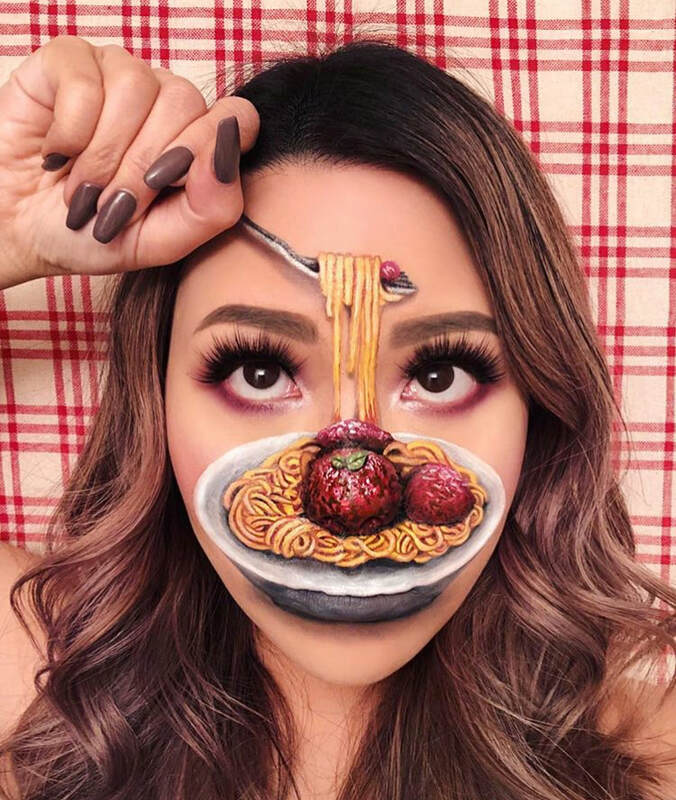 By using her face as a canvas to paint pandas, a Jenga puzzle, a pizza pie, and more, her 654,000+ Instagram followers can’t help but stare in disbelief. 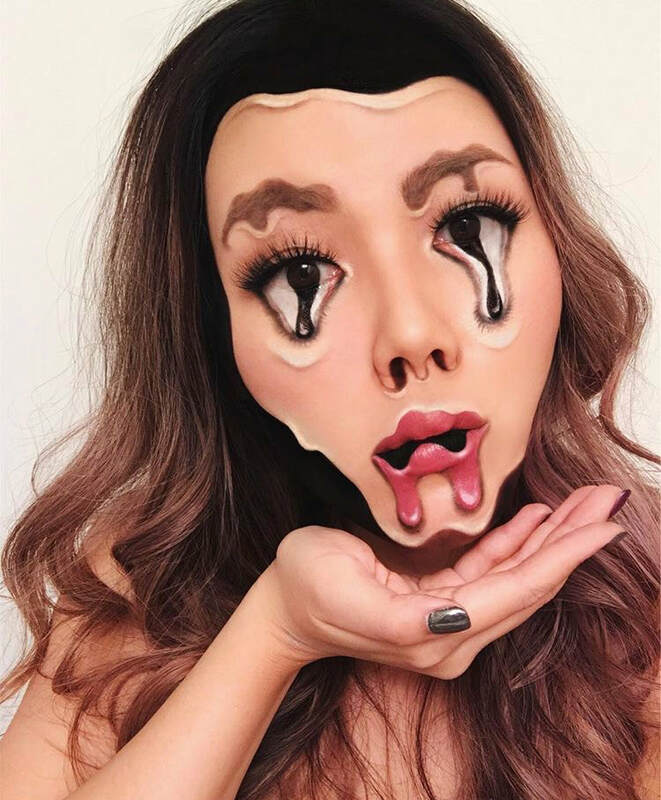 Her creative approach to illusion makeup stems from her episodes of sleep paralysis, where she experiences vivid hallucinations. These visions are what inspire a myriad of her distorted face looks, intertwining her mind with her art in a way that no artist can. This unique perspective has earned her collaborations with prominent brands such as Make Up For Ever, MAC, Sephora, Samsung, and Capital Records, and with celebs like Shay Mitchell. 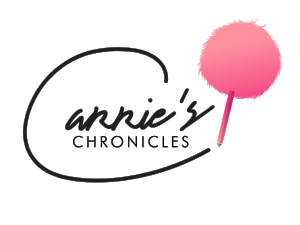 The beauty chameleon also offers private makeup lessons as well as bridal makeup and hair services when she is not painting her own face. I could not wait to talk to Mimi about her exciting approach to being a beauty influencer. Check out all of the fascinating information she had to offer in our interview below. When did you first start doing illusion makeup? What about it appealed to you the most? I did my first illusion look for Halloween in 2013. 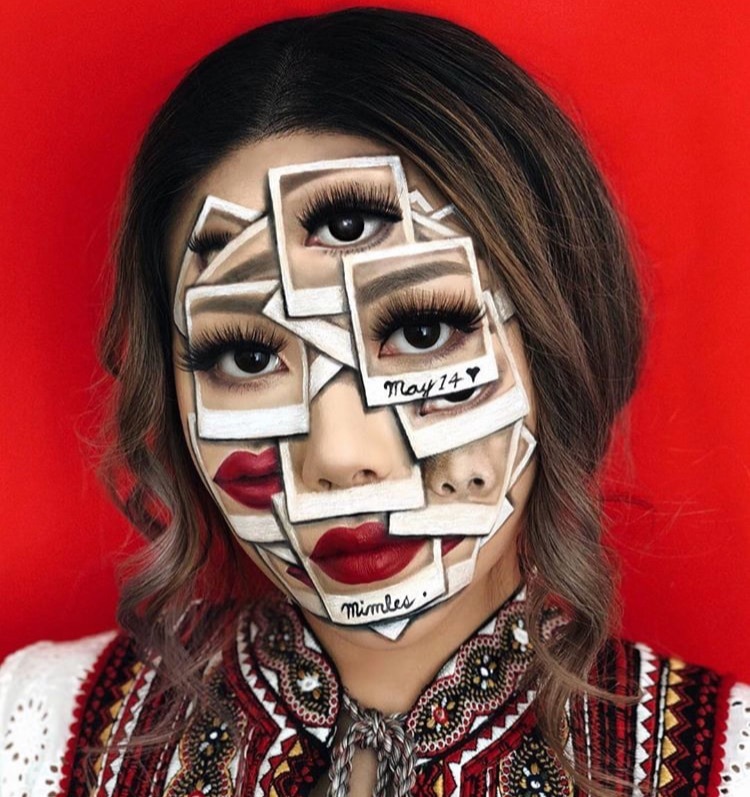 I decided to try out a cracked face look using just black and white liners and the image went viral on social media. I was amazed at how much I could achieve from just everyday products and it definitely motivated me to explore this genre further. What I like about illusion makeup is the problem-solving aspect of it and figuring out how I can make a certain look work with my face. I also love seeing and reading the reactions from my audience. The more confused someone is, the more successful I consider the look! What kind of makeup education did you receive prior to creating your own platform? After graduating from a university, I obtained my early childhood education certificate and was a preschool teacher for a few years. Although I love children and teaching, I felt suppressed, so with the support of my family, I decided to pursue my passion for makeup. I enrolled at Blanche Macdonald--a beauty school in Vancouver, Canada---, which is where I discovered the illusion genre. Since then, my portfolio has evolved into what it is today. Who inspires your makeup looks? I gain inspiration from everything and anything including textures, patterns, and colors. I'm also very inspired by surreal artists like Dali and digital artists. It can be difficult recreating these looks on my face, as I don't use Photoshop to alter my images. Does makeup have a very special meaning in your life? I've always enjoyed doing makeup and I consider myself to be a creative person. It’s an outlet for me to express my individuality where I can lose myself painting my face for hours at a time. As you may know, I also suffer from sleep paralysis in which I experience vivid hallucinations before I wake up. These can be terrifying at times but I use these experiences to fuel my creativity and as a means of dealing with these episodes. During those times when it feels scary to relive your dreams, why do you continue to do what you do? I do it because I love it. There are no other reasons. Even if my illusions were not as popular as they are, I would still explore this genre as I truly enjoy doing them. 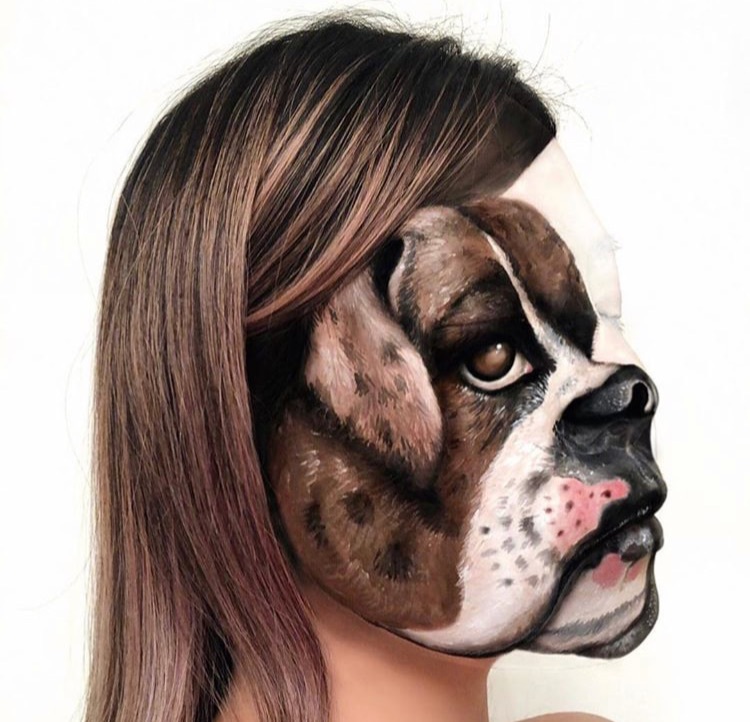 For people who want to do illusion makeup just like you, what’s a trick that you can offer them? My illusions are very angle dependent, so I take selfies throughout the process to ensure that things are lining up correctly. Black paints are very important in my illusions as well, since they give the appearance of negative space. I try to avoid using paints with shine or reflection, as they ruin this look. Have you ever had a complete makeup failure? I don't consider any of my looks failures. I am the most critical of my own work, so of course, there are times when I would have done something differently in retrospect. However, I see each look as a learning experience. What is your favorite look you’ve ever done? It's hard for me to pick one look that I like the most. I try to improve with each post that I make, so most of my favorites are my latest ones. 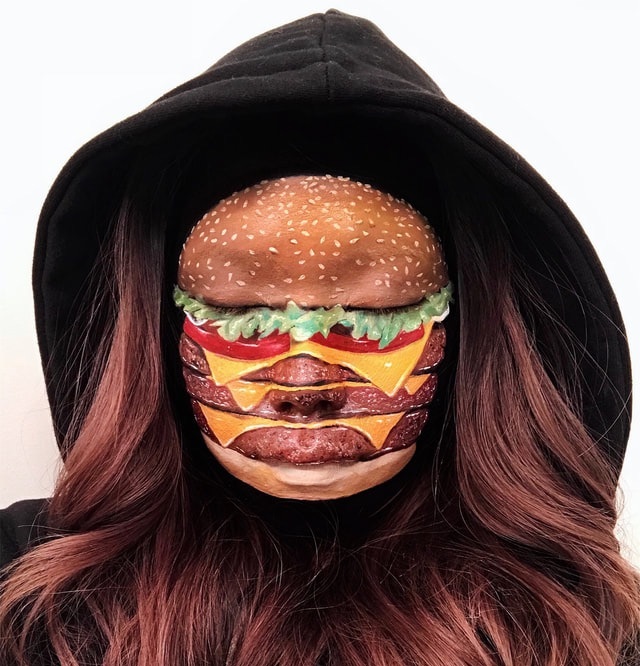 However, one that I really enjoyed doing was the hamburger face I painted on myself for Halloween. I couldn't stop laughing at myself as I was painting and I enjoyed seeing my client's reactions when they came over for their own appointments. I work with my husband who is also my business partner. We are fortunate that my art has lead to many different opportunities. For now, we do not have a set plan in mind--instead, we want to see where my art takes us.